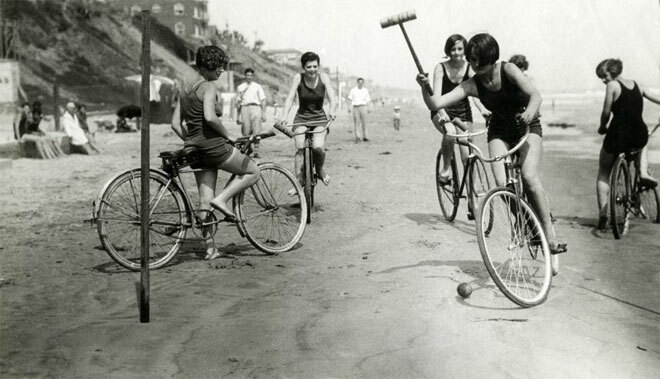 TOP SHELF POLO: Vintage beach polo ladies! Isn't that a sweet photo? Girls, bikes, and polo all at once! Seen here at this neat little tumblr; originally posted here. Thanks for the heads up Molly!